Click to view larger image. 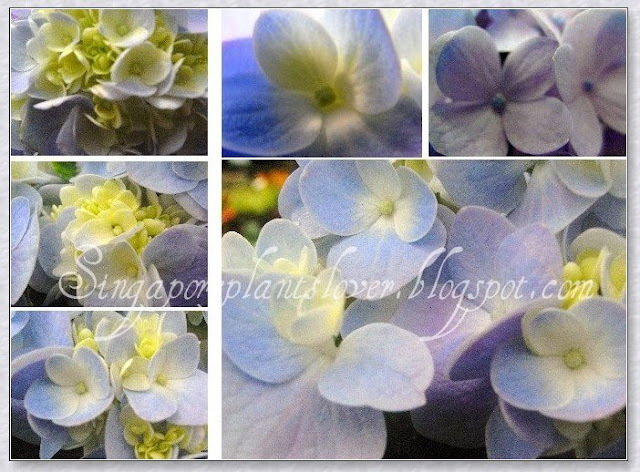 I share this mosaic of blue hydrangea here with Today's Flowers, and Blue Monday. To view many more mosaic offerings, visit Mary at Little Red House, she hosts Mosaic Monday, a wonderful meme. Thank you for sharing these lovely blue hydrangeas with us today. They are lovely photographs. I love blue hydrangeas!!! These are great photos!!! where can we get the hydrangea plant?